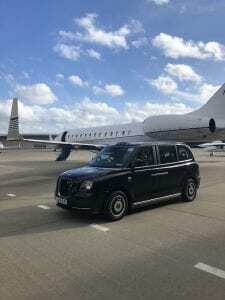 London Black Cab from Central London to Farnborough Airport should take roughly 75 mintues. We offer a 24-hour airport transfer service to clients wishing to travel to any of London’s major airports. Please contact Michael at on 07846 574174 or email bookings@corporateblackcabs.co.uk for a quote. The airport is also famous for the airshow which happens every 2 years and attracts thousands of corporate clients.